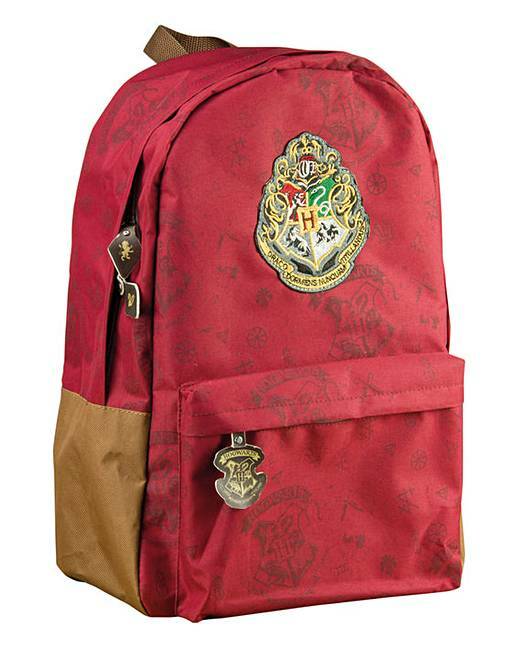 With this Harry Potter Gryffindor Crest Rucksack you will be well equipped for the school of witchcraft and wizardry. Transport all of your essentials from spell books to magic wands to Quidditch equipment to Bertie Bott's Every Flavour Beans. It features the Gryffindor house red and gold colours, as well as the Gryffindor crest logo. It has two adjustable shoulder straps for comfort and support. There is also a carry handle which is suitable for hanging the bag up. The bag has plenty of room for your items, as there is a main zip compartment and a smaller one at the front.